Twenty three Venezuelan states will pick governors today, but there is one race that looms larger than the rest: the race in Miranda. 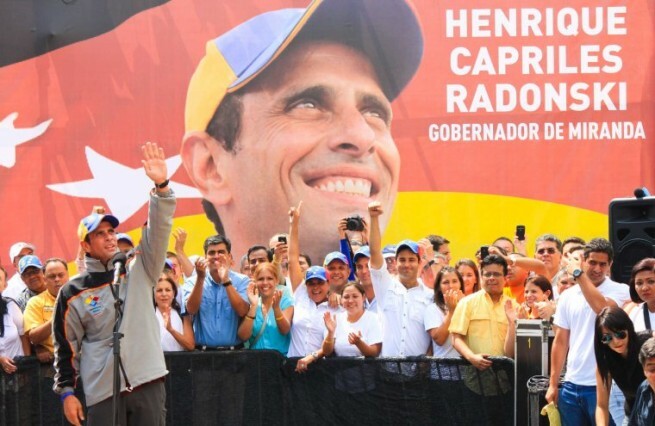 If Henrique Capriles Radonski is re-elected comfortably, he cements his status as the front-runner for any Presidential election that may be coming. If he loses, his political career is over for now. If he wins tightly … then it gets interesting. A win is a win, so I think that he would still be at the top of the list for the presidential election. But people will loudly question his ability to beat a chavista candidate on a national scale. “If you lose to Hugo Chávez by ten points, and you can’t even beat a bad candidate like Elías Jaua comfortably in a state you have governed reasonably well, then there is something wrong with you,” dissenting voices will surely say. Yes, Zulia is important – how Pablo Pérez does in Venezuela’s most populous state will make or break UNT’s relevance in national politics. Lara, Carabobo, Táchira, Mérida, Nueva Esparta, and Sucre are all important too. But voters in Miranda are electing more than a governor. They are electing a presidential candidate.